Abstract. In this work, we analyze the competition between several firms to complete a project. Each firm decides how much it invests in the project while adhering to firm-specific lower and upper investment bounds. The completion time of the project by a firm has exponential distribution with rate that depends linearly on the investment of the firm. The firm that completes the project first collects all the revenues associated with it and the remaining firms earn nothing. We show that there exists a unique Nash equilibrium and a unique globally optimal solution, in non-degenerate cases. We do this by deriving explicit representations parametric in the interest rate. This enables us to develop a computationally efficient method to solve the problem. 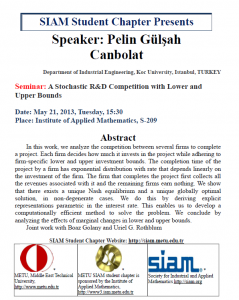 We conclude by analyzing the effects of marginal changes in lower and upper bounds. 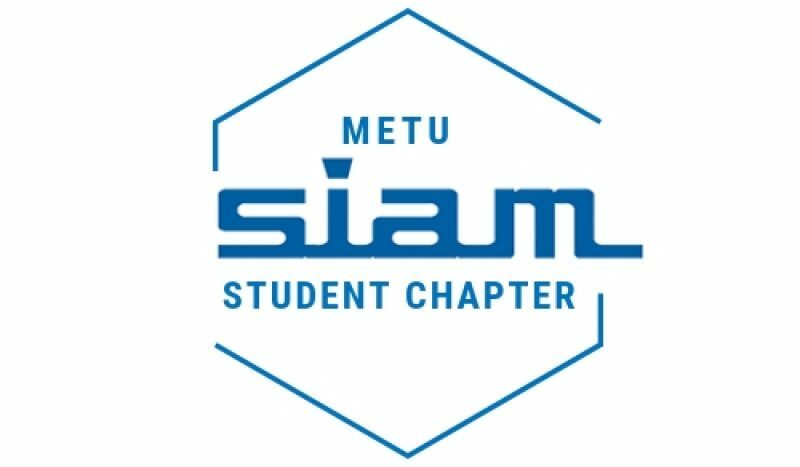 On 30th April 2013, SIAM gave METU SIAM Student Chapter president a certificate for our activities. The president Fatma Yerlikaya Özkurt received her certificate from SIAM members at our University, Director of Institude of Applied Mathematics Prof. Dr. Bülent Karasözen, and Assistant to the Director Prof. Dr. Gerhard-Wilhelm Weber, and Asst. Prof. Murat Manguoglu. 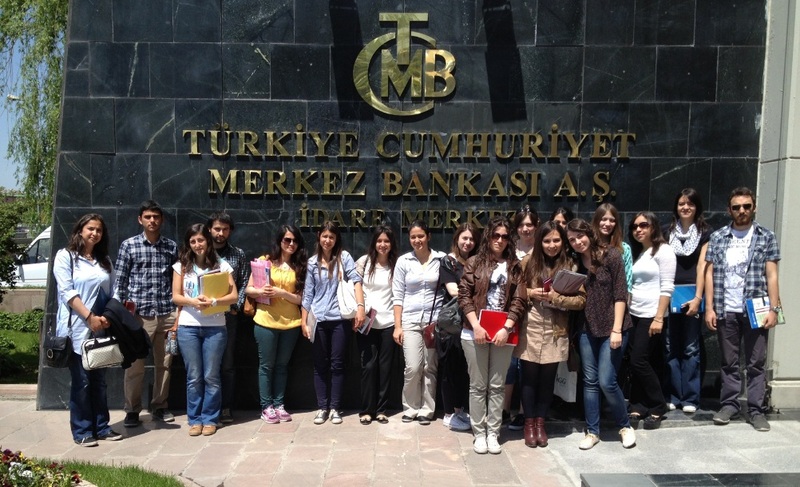 On 2nd May 2013, we went to Central Bank of the Republic of Turkey for the informatory meeting. We thank to organization committee and the participants. One can follow us and find more photographs of our events in our Facebook page (SIAM STUDENT Chapter).